JR Maibara Station 30 minutes by taxi from the station. 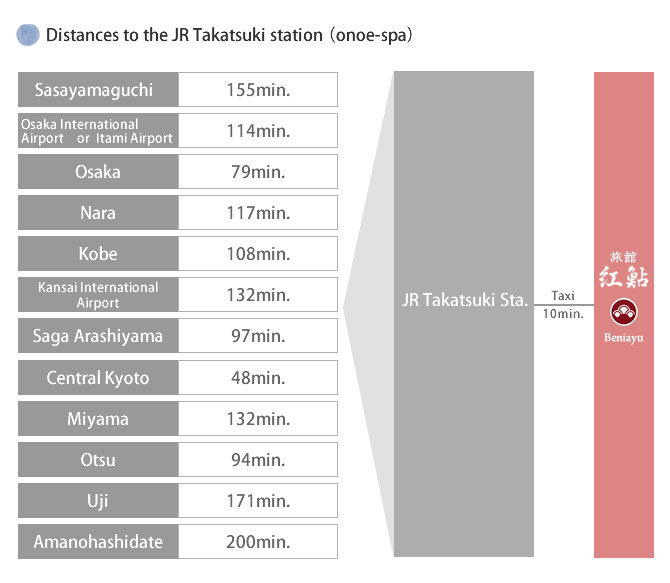 JR Takatsuki Station 10 minutes by taxi from the station. 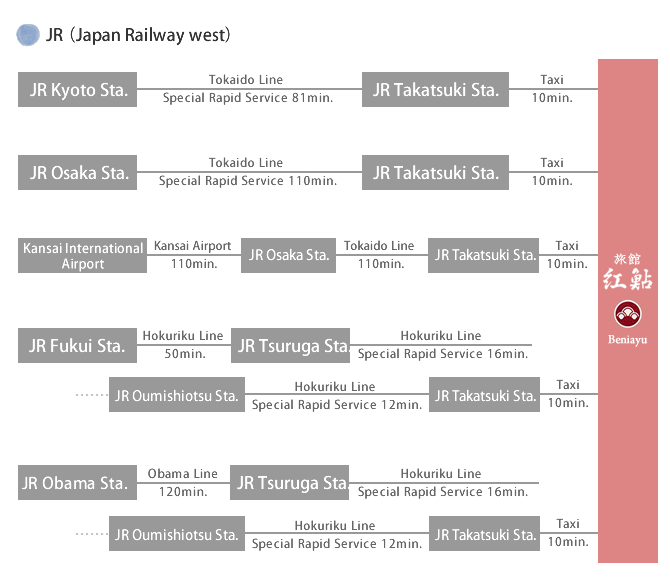 Shuttle service is available from JR Takatsuki Station.